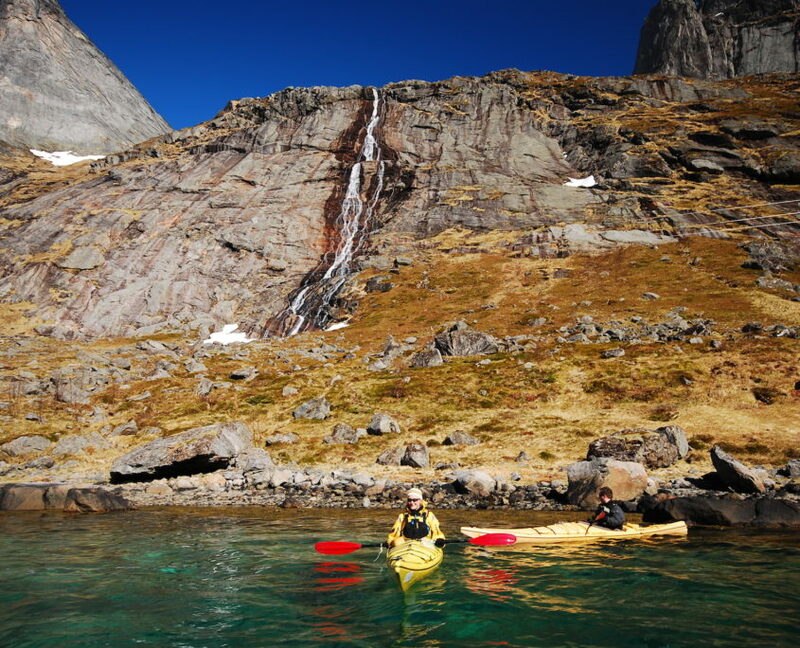 If you are wondering what it is like to paddle in heaven, you should try kayaking here. 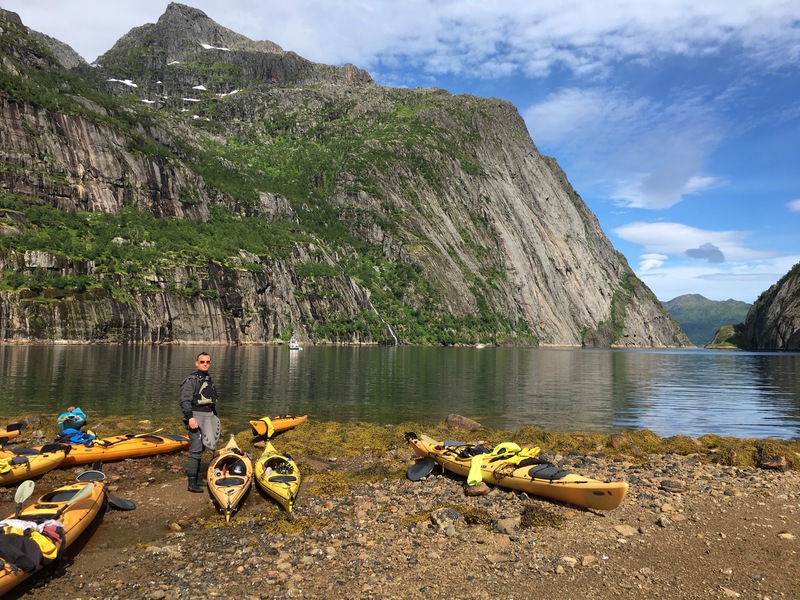 We have fjords and beaches that can take the breath away from you, whether you paddle couple of hours on the fjord or couple of days round the island of Moskenesøya. 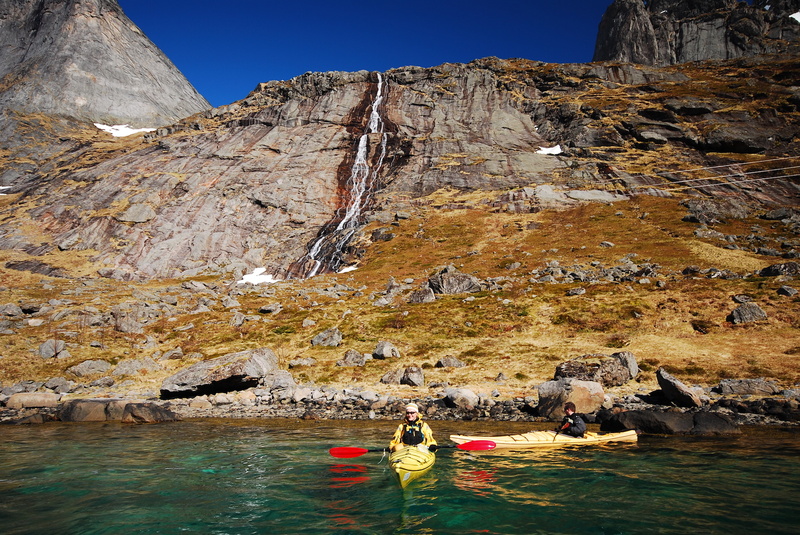 You can experience nature at close quarters here, and an abundance of animal life as you glide through the water. 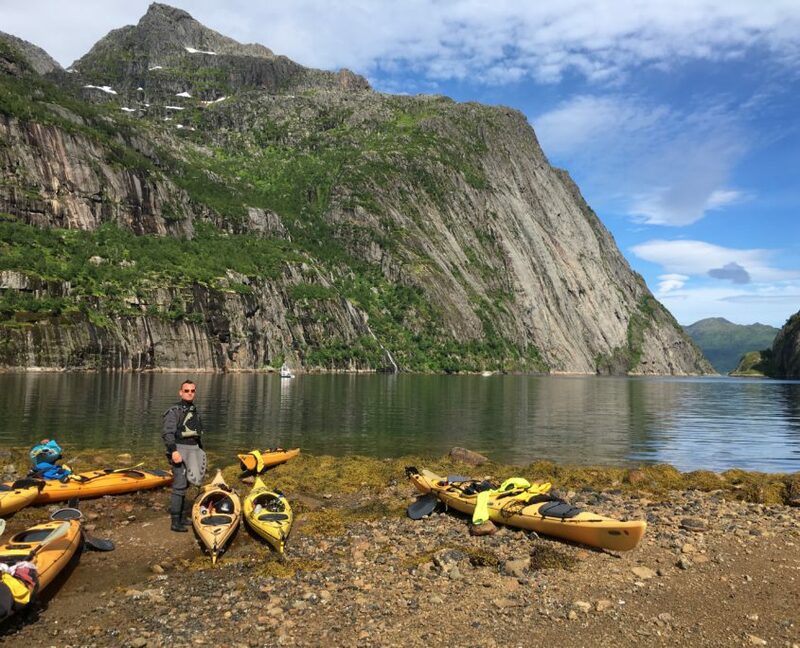 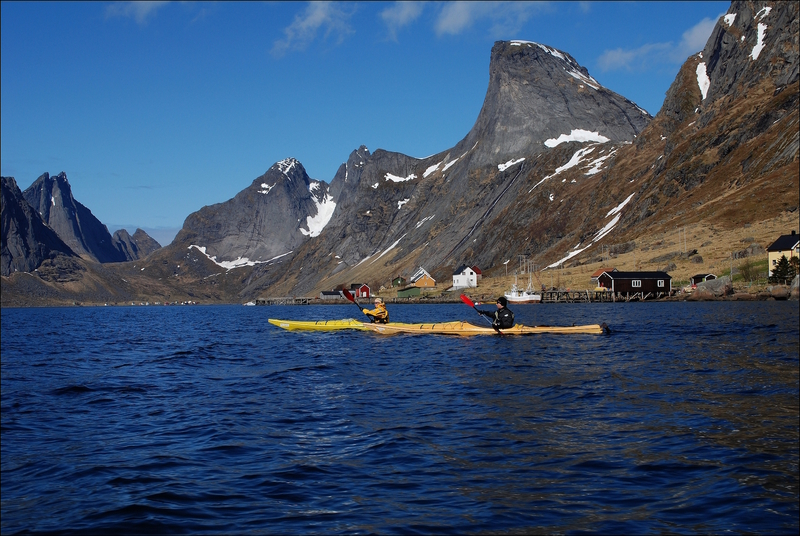 With a kayak you can access tiny coves and fjords, and paddle between old wharves and boats without any trouble. 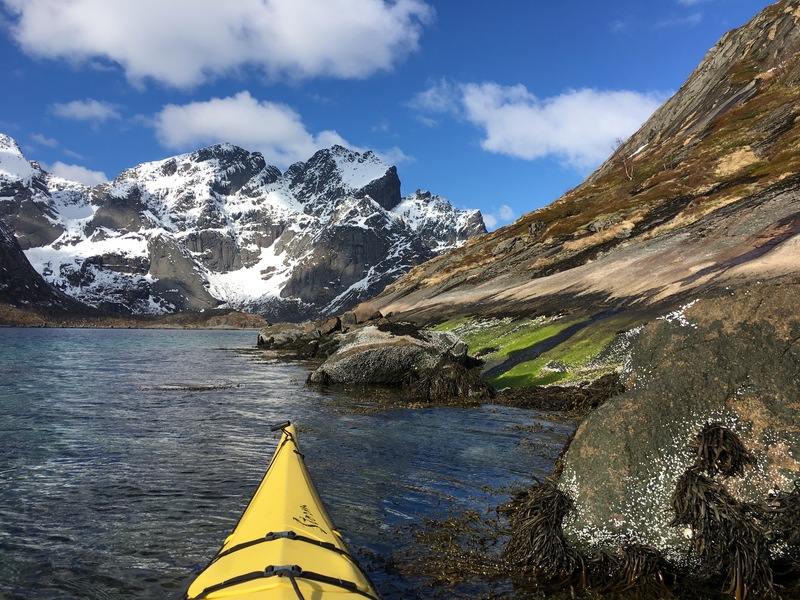 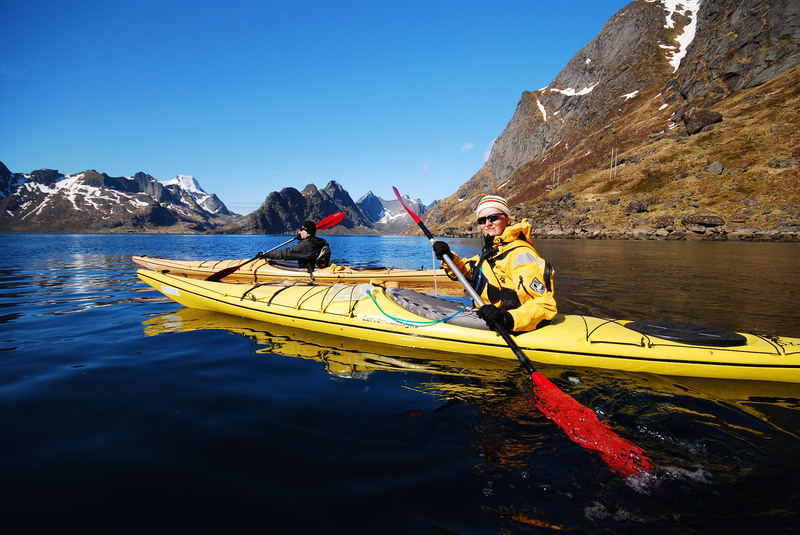 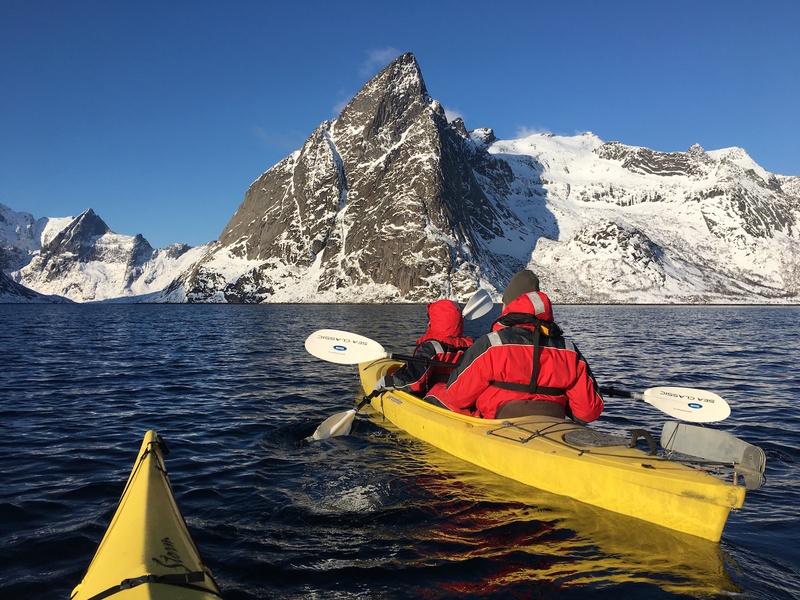 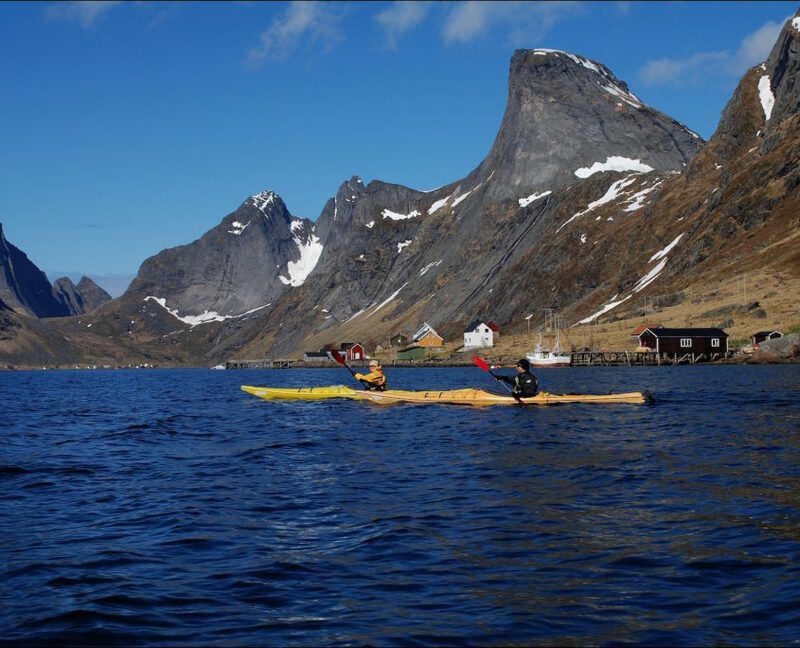 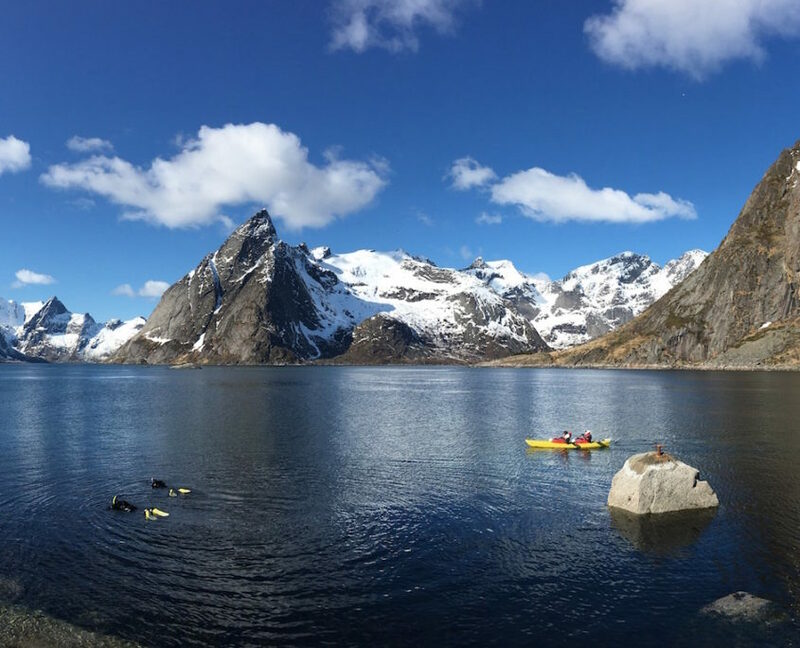 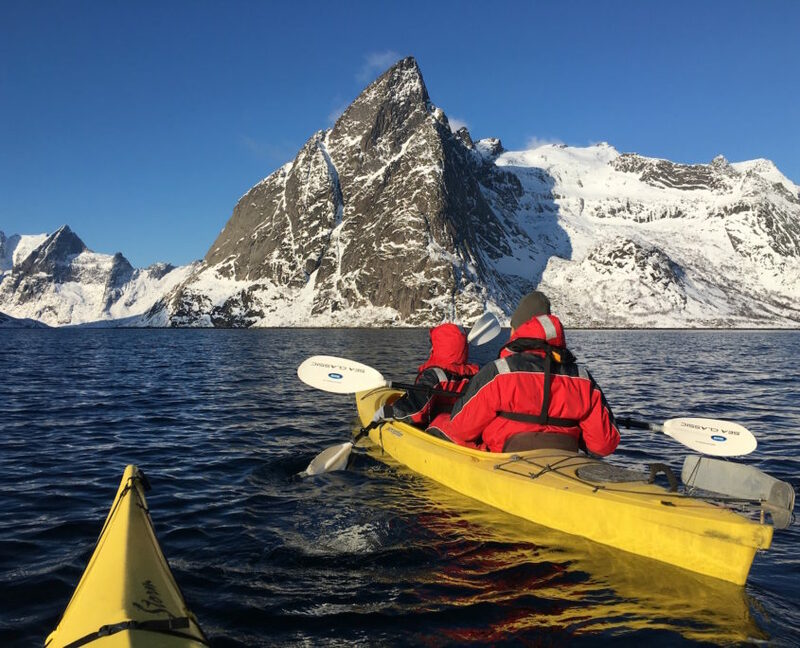 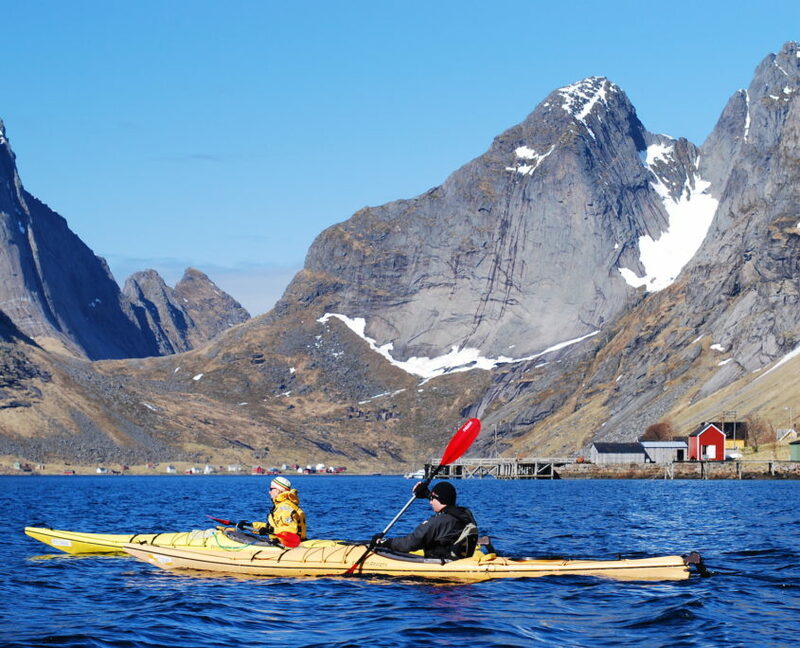 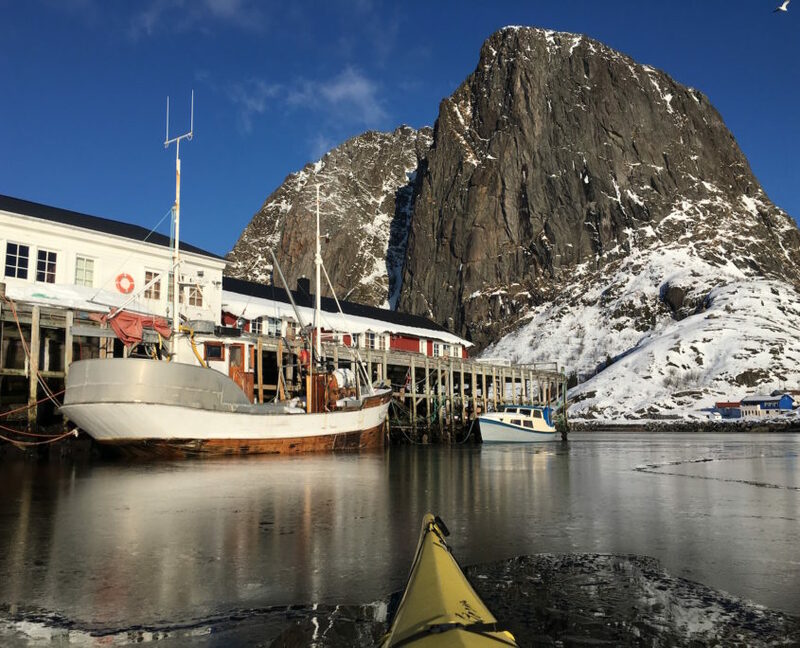 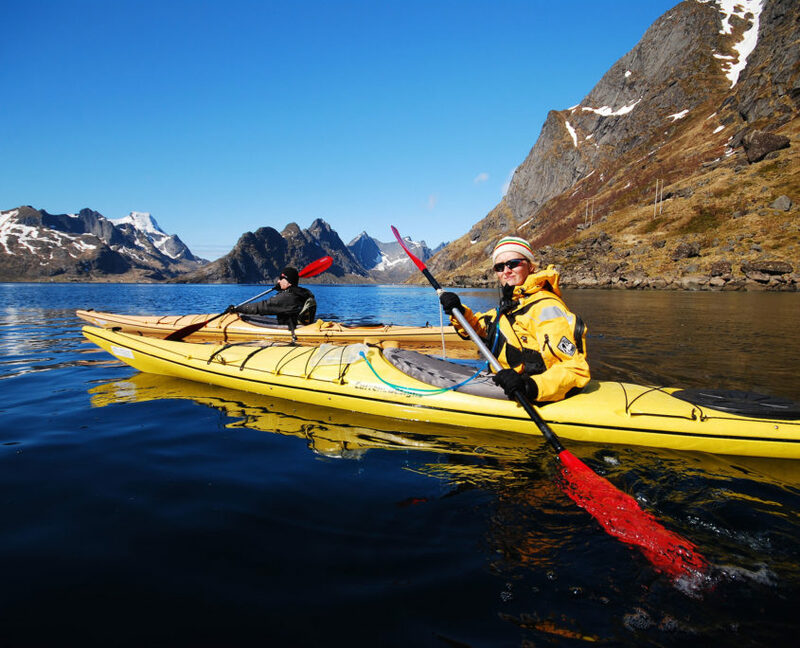 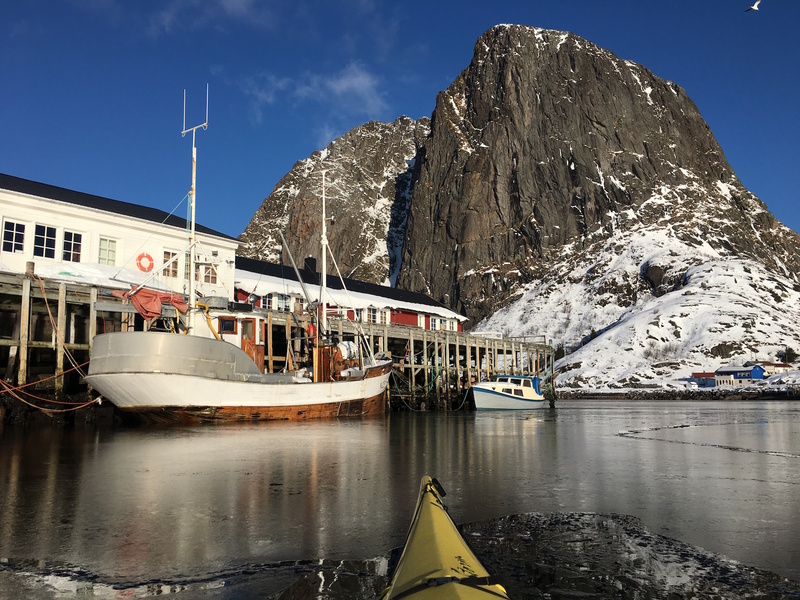 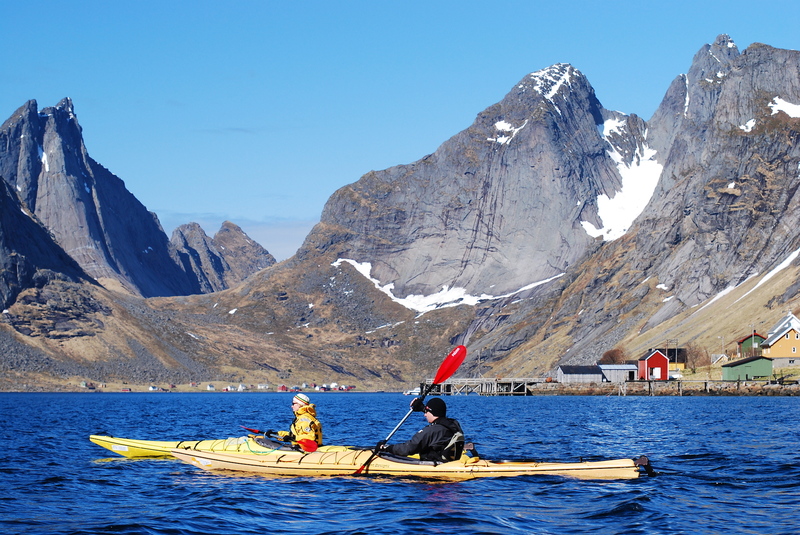 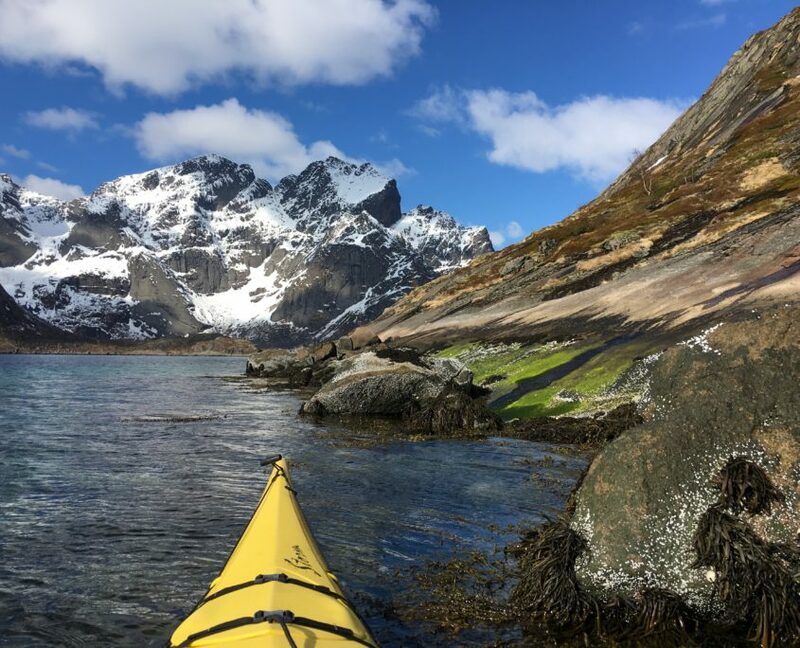 It is not without reason that Lofoten has been voted one of the world’s best kayak destinations.